OFFICIAL PIMPS AND HOES: THE LIFE AND TIMES OF GANGSTA BROWN!! 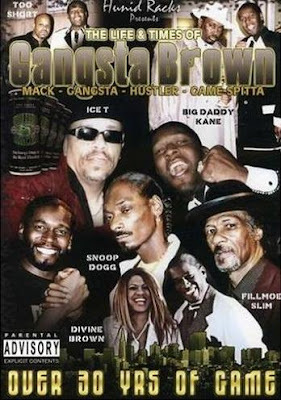 If you got Love for the Game then you definitely got Love for Good Content and Good Footage..One of the newest Dvds out about Gangsta Brown one of the Greatest P'z that has ever played the Game,you should definitely add this your Dvd Library. Check it out Here..